The Supreme Court Wednesday refused urgent hearing to a plea moved by Karti Chidambaram, son of senior Congress leader P Chidambaram, seeking permission to go abroad. 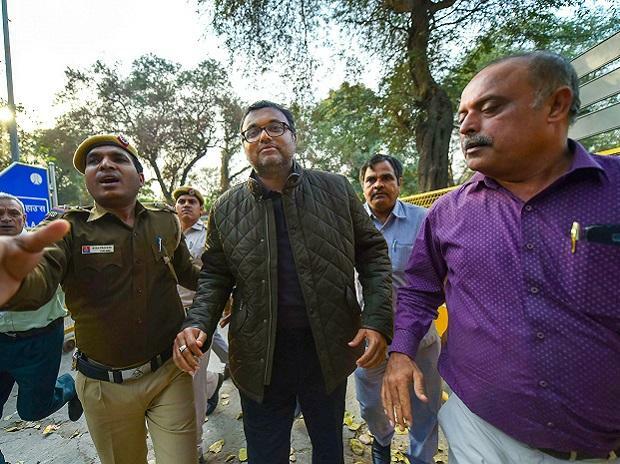 Karti had filed the plea in November, seeking apex court's nod to go abroad. He is facing prosecution in INX Media money laundering case lodged by the ED and is also an accused in INX Media corruption case lodged by the CBI. A bench headed by Chief Justice Ranjan Gogoi turned down senior advocate K V Vishwanathan's request that Karti's plea be listed for hearing. "We are not interested. File an application explaining your reasons... It is 10:30 and you are out of turn...," the bench, which also comprised Justices L Nageswara Rao and S K Kaul, said. "Who is Karti? Karti Chidambaram, you are saying? Let him stay where he is. We have more important matters to decide," the bench said.